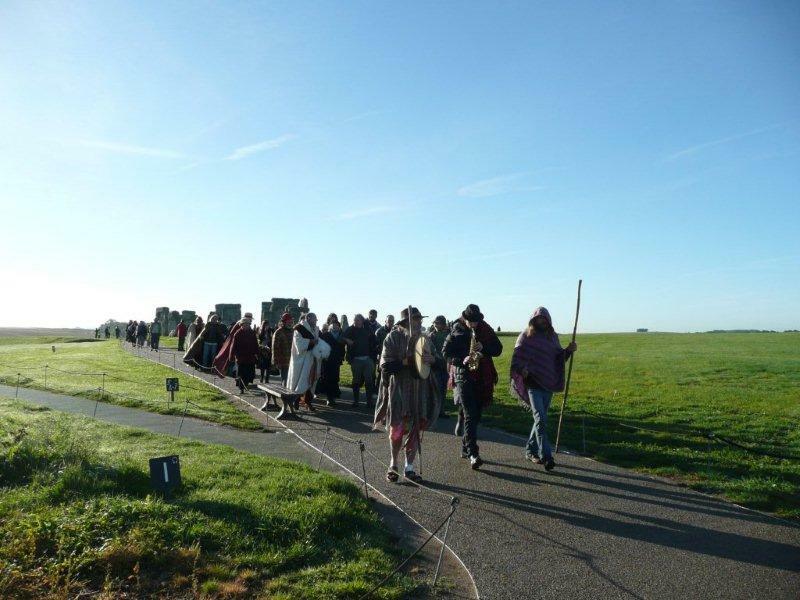 Walking down from Larkhill, not long after sunrise above Durrington Walls, Stonehenge appeared ahead of us in sharp silhouette, its megaliths just caught by the bright early morning light. Some of those who took part in the celebrations were already making their way home and stopped to hold up our leaflets and sign the petition in support of our campaign. 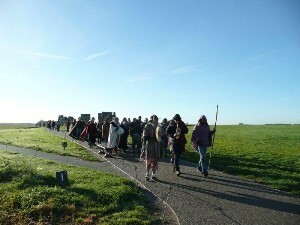 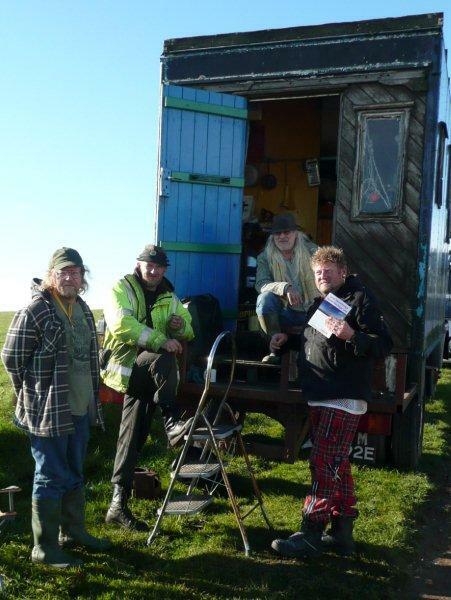 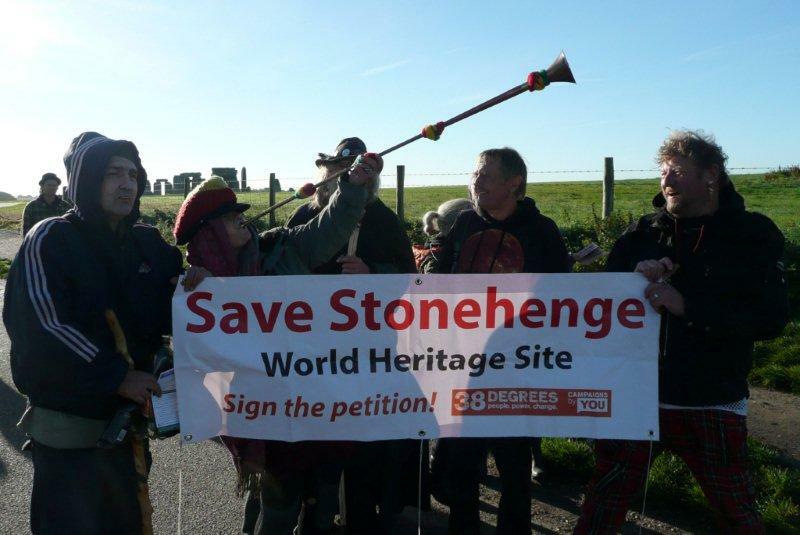 All who celebrated the equinox had left the henge area by 9am and were returning to their vehicles for refreshments and a chat before setting off to destinations in the UK and abroad. 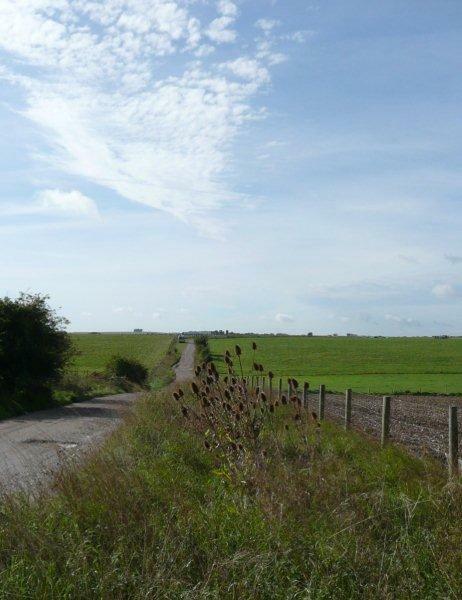 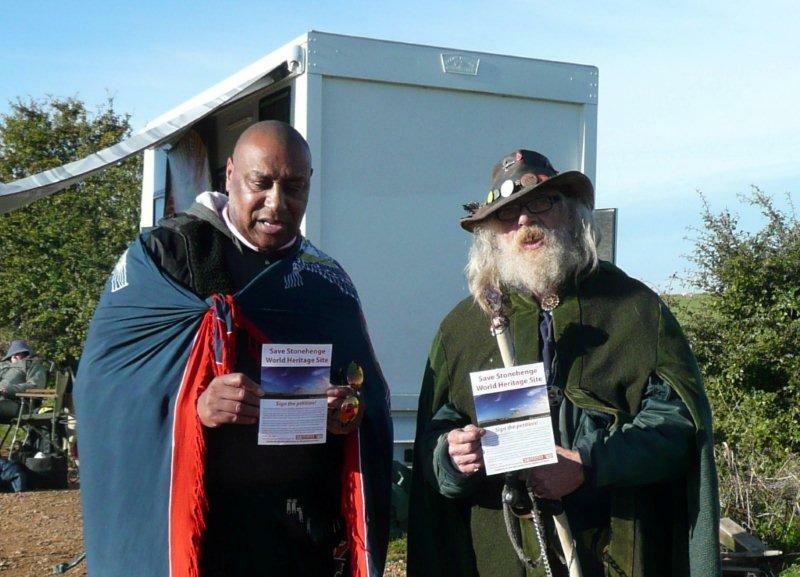 Many were shocked by the Government’s proposals for the A303. 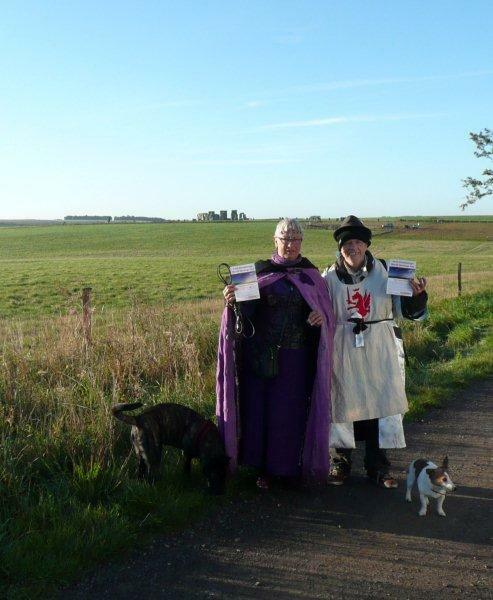 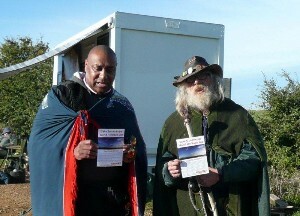 They took our leaflets and agreed to spread the word about our petition. 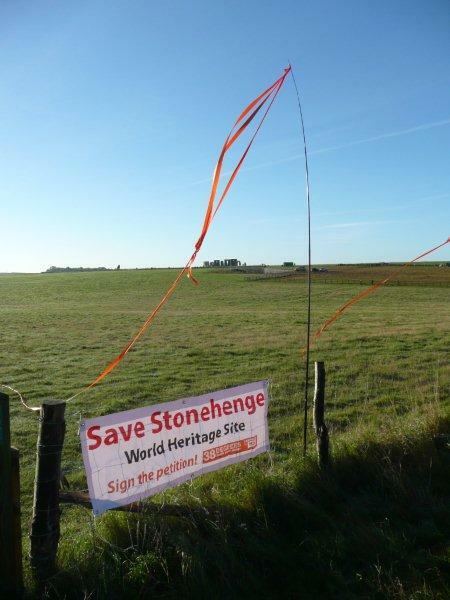 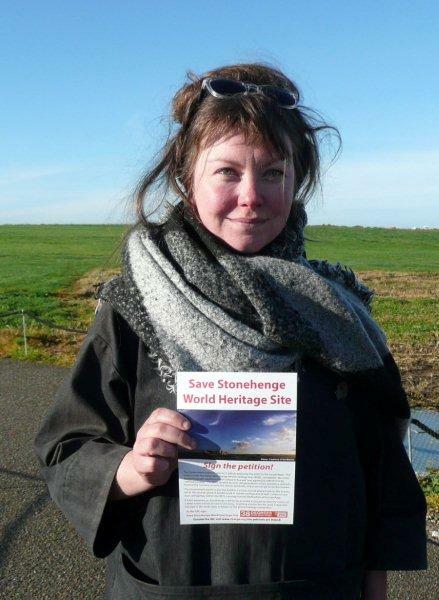 A last view of this amazing World Heritage Site landscape, with the distant Henge viewed over the Cursus monument, underlines how important it is to save it from destructive road building.